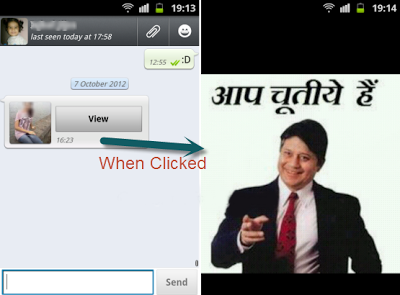 Fool your friend on whatsapp by sending false Image preview with Different image inside . 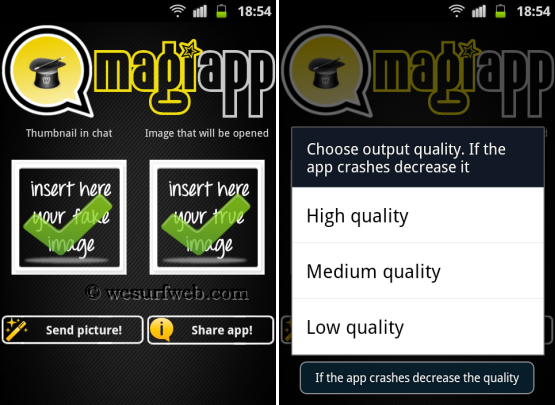 MagiApp, an Android app created by a Spanish developer, allows you to hide an image inside the thumbnail and share it with your Whatsapp friends right away. Magiapp created by beMee Technology to have a fun using Whatsapp with your friends. #Second, Launch MagiApp once it installed and add fake image in first box and Actual image in second Box.